Not a photo by me today but one that includes me! 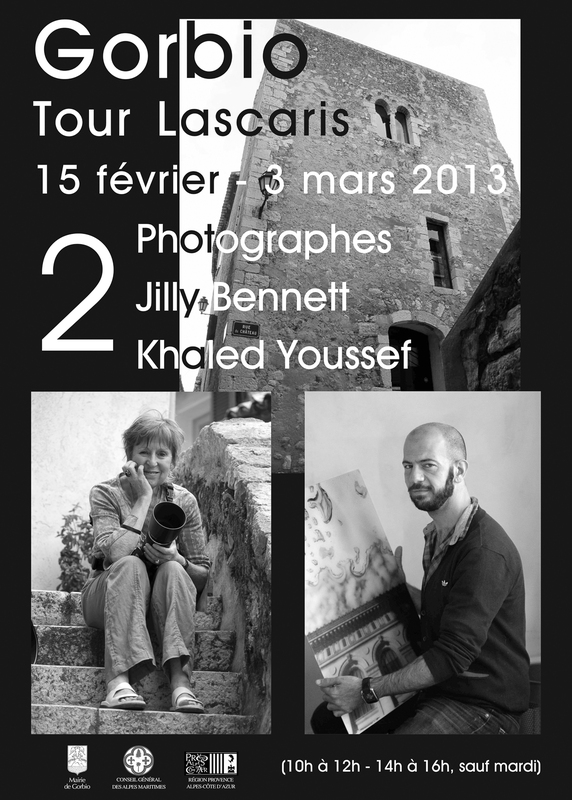 - it's the programme for a an exhibition of photography at the Tour Lascaris/Fondation Raza in Gorbio village from the 15 February to the 3rd March - 10h - 12h and from 14h to 16h. Closed on Tuesdays. Khaled Youssef is a wonderfully creative Syrian-born photographer who lives in Nice. Khaled takes fabulous photos of enormous bubbles, of beautiful reflections and of graffiti. It's an immense honour for me to be presenting my work at the same time. My photos will show what I adore about life here - the festivals, the ambiance, the food, the way of life in Menton and the medieval village of Gorbio. And most of all the people who live that life. Congratulations!!! What an honor, but well deserved. how i wish i could see this show in person. congratulations. I'm glad to think that your work is getting the recognition it deserves. Congratulations to you! An honor well earned. Like everyone else, I wish I could be there. Congratulations Jilly! I wish I could see the exhibit in person too. I'm sure it'll be fantastic. I so wish I could come! I'm excited for you!